I am having the worst luck with iPhones. I’ve hade one for less than a year, and already I’ve lost two. The first time it fell out of my bag in a Crate & Barrel while I was shopping for shower curtains. This time it fell off my seat during a standing ovation at the Kennedy Center and was forgotten in the shuffle to get out. How is it possible for me never to lose anything else in my life, but always to lose the one piece of expensive technology that I really don’t want to lose?? Grrr. Of course, this means that I’m feeling grumpy and poor and acutely aware of just how single I am. I mean, there’s nothing like losing one’s phone or locking one’s keys in the trunk to drive home the fact that I live alone and am totally self-reliant. The family and close friends that I should be able to turn to in situations like this are impractically far away, so when that self-reliance breaks down I’m really in a bind. I need to build a stronger local support network here. The timing is also extremely inopportune. Normally I go for weeks without really needing my phone; but of course now I’m in the midst of coordinating a crucial job interview in New York, and the hiring office is relying on my cell phone number. If I want that process to go smoothly (and I do), I just can’t afford to be unreachable. So first thing tomorrow morning, I’ll be in the Verizon store buying yet another cell phone (possibly not an iPhone) so that I can keep my life from running off the tracks. The loss of my phone also means that I don’t have any photos of recent activities. So you’ll just have to believe me when I say I’ve had a good weekend (lost cell phone notwithstanding). 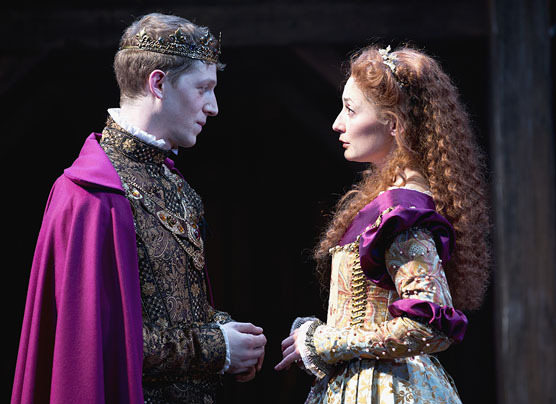 I enjoyed first rate performing arts, first with the Folger Shakespeare Theatre’s strong production of Henry V, which in my mind is one of Shakespeare’s best history plays . 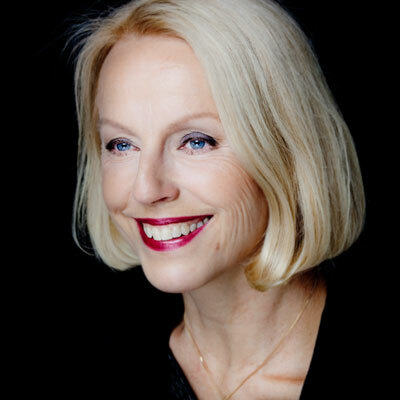 . .
followed by an excellent National Symphony Orchestra concert featuring Swedish mezzo-soprano Anne Sofie von Otter singing Schubert lieder and the University of Maryland choirs singing Mozart’s Requiem (my all-time favorite requiem). arts, and boy did she fit the bill: 8 feet tall and white-blonde hair. A weekend of performing arts isn’t complete without good food, and this weekend was no exception. Having finished my Paleo nutrition challenge this week (we won!! ), I’m now able to eat things like bread and cheese. I kicked off the weekend with a pre-theatre dinner at Le Pain Quotidien, where I ordered a delicious tartine of warm goat cheese with pear, honey and prosciutto. On Saturday I went French at the Bistro du Coin and was disappointed with a mediocre gratin d’endives and filet of salmon. Today I more than made up for any gastronimical disappointments by making Mexican chocolate pots de creme from a recipe I found on the blog Nom Nom Paleo — all I have to say is that everyone who reads this blog should run, not walk, to the kitchen and whip up a batch of this decadent dessert. It was super easy to prepare and oh, so exquisitely, chocolately delicious. (And believe me, the suggested small serving sizes are there to protect you from death by chocolate.) I’ll be eating chocolate all week long. We also had the first truly spring-like weekend of the season, with temperatures in the low 60s. I took advantage of it on Saturday to go running on the local high school track, and then for a quick 20-mile spin on the bike. It was great to be outside in the sunny, warm weather. I can tell that my winter gym workouts have maintained a good general fitness base, but there’s still no substitute for getting out there and actually running and cycling. It’s going to take me a few weeks to get back up to speed!